A team of scientists found first evidence for the existence of a Majorana fermion, a hypothetical particle proposed 80 years ago that is its own antiparticle. In 1928, physicist Paul Dirac predicted that every fundamental particle has an antiparticle – a twin that has an opposite charge. 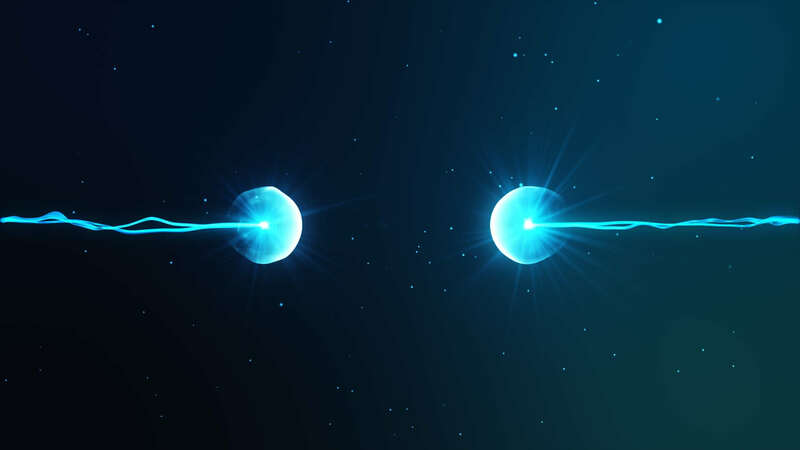 If a particle and antiparticle were to meet, they would be annihilated while releasing a burst of energy. But in 1937, physicist Ettore Majorana added the prediction that a class of particles exists known as fermions, which would include particles that are their own antiparticles. Now the researchers from Stanford University and University of California found the Majorana fermion in a series of lab experiments on exotic materials. They were led by UC-Irvine Associate Professor Jing Xia and UCLA Professor Kang Wang, and followed a plan proposed by the Stanford physics professorShoucheng Zhang. The complexity of the experiments necessary to find the Majorana fermion makes this work a “landmark in the field,” said Tom Devereaux, director of the Stanford Institute for Materials and Energy Sciences. Nobel Prize-winning theoretical physicist Frank Wilczek, who was not involved in the research, also praised the importance of the discovery, calling it “a really clean observation of something new” and a “real milestone”. The fermion observed by the team is known as a “chiral” fermion as it moves in just one direction along a one-dimensional path. The experiment that resulted in the find involved looking for a special half-speed signature of Majorana quasiparticles, which are “excitations” that come from how electrons behave in superconducting materials. While these are special entities that have some properties of particles but are not actually particles found in nature, quasiparticles are still regarded as real Majorana fermions. The researchers applied electricity to stacks of superconducting materials and topological insulators in a chilled chamber. A topological insulator conducts current along its surface or edges only, not through the middle. A magnet was then used to control the behavior of generated electrons as they sped along the edges of the surface. The electrons were slowed down, stopped and their direction changed. This cycle continued until the scientists identified the Majorana quasiparticles that emerged by by their unique speeds. The practical implications of this discovery are well in the future, with potential for use in quantum computing, where it can help overcome environmental noise. Zhang calls the newly-found particle the “angel particle,” referring to Dan Brown’s bestseller “Angels and Demons” which featured a matter/anti-matter time bomb as part of the plot. Read the study here, in Science magazine.